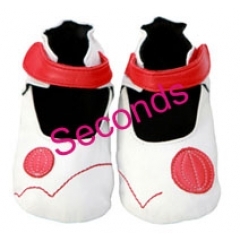 All seconds stock have not passed our strict quality assurance assessment. Products have either dirt/colour marks or scratches on the leather, have labels sewn incorrectly or other minor inconsistencies. All sales on seconds stock are final, no exchange or refund available. Stock is limited and available only until sold out.